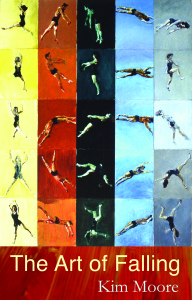 If you would like to buy a copy of The Art of Falling, the easiest way is to buy direct from Seren. If you join their book club, you will also receive 20% off the cover price. You can buy a signed copy of ‘If We Could Speak Like Wolves’ for £5.00 plus £1 postage and packing or you can buy a copy direct from Smith/Doorstop. 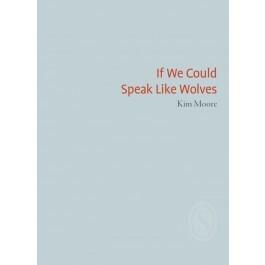 “Kim Moore is the most compelling poet under review because she is least afraid of the dark sounds speaking through her. She welcomes and invokes duende: the unworldly and worldly occupy the same verbal space. Her poetry is always out of the ordinary yet unshowy despite (or because of) her expert and subtle handling of line and form. The result: a balanced arrangement of wild gift and mindful shaping (even a poem about Watership Down possesses duende). Moore is also the poet most likely to communicate to people who do not read poetry – yet her work is in no way simple or charming. Much promise yielded, much beckoning for the future. The poem also speaks of people drawing closer together under the influence of a tragedy as if grief formed a community. The recurrent themes are Cumbria, trains and arguing, fairly domestic situations but there is nothing comfortably domestic about any of the poems. The poem ‘Train Journey, Barrow to Sheffield’ is rich with substance in the closely observed detail of travelling on a train. There is nothing romantic in this concept, it is a down to earth observation, “even though the toilet smells like nothing/will ever be clean again,” and yet the poem moves from here to a sensual description of a journey, “still I love the train, its sheer unstoppability,/its relentless pressing,” and then the leader is led right away from here to a scene of a father up to his waist in water trying to save himself and his son, ” but in a train, there are no choices,/ just one direction you must stick to.” This is not how the poem ends. It ends with something completely unexpected and amusing. I won’t tell you what it is. You’ll find out when you buy the pamphlet. This collection is about the ordinary world but with an ambitious take on the norm. I have not been so excited by such a new read for sometime. I look forward to more work from this innovative poet. Published by Smith/Doorstop by Poetry Business this year, Kim Moore’s newly launched poetry pamphlet draws the reader in with hypnotic power and builds a seamless transition between truth and fable. Watch out for the curious balance between enchantment and danger in ‘The Wolf’: ‘the one who eats chalk to make his words / as white as snow’ and ‘the one who is not / as he appears’. Enchanting one with his language, the wolf, or wolf-poet figure, is so believable that ‘he can take / a house from you’. Water imageries and wild animals articulate the complexity of one’s mind, the desire for intimacy — intimacy with people and places– and resistance against it. I enjoy the texture and expressiveness in ‘Sometimes You Think of Bowness’ while ’Hartley Street Spiritualist Church’ reminds me, in a strange way, of Larkin’s poem ‘Aubade’, the pendulum swing between devotion to poetry and faith, blurring the divide between the visible and the invisible world. These poems mark the development of a sensitive and bold voice, and hold as much beauty as unrest. I cannot recommend this collection of poems highly enough. Kim Moore has the curious ability of being able to write poetry that feels as though it has been written just for you. Each poem seemed to have some kind of personal meaning and I’ve never felt this before. Thanks so much for taking the time to tell me this. It really does mean a lot to me – and I am really happy that you enjoyed the poems so much.